PowerGuard is essential for anyone who’s life or livelihood depends on batteries. By automatically switching batteries off before they become flat, PowerGuard ensures that enough power is retained within a battery to guarantee engine starting and prevents excessive discharge of expensive auxiliary battery banks. PowerGuard employs advanced battery monitoring techniques to determine when battery state of charge meets a number of parameters (Digital Signal Processed voltage and time). When met, an alarm is activated. If batteries are not put on charge (by starting the engine or switching on a battery charger for example), the unit will automatically isolate the batteries. Proven applications include: Engine Battery Protection on front line ambulances, police cars, fire vehicles, hire boats, agricultural machinery and plant. Auxiliary Battery Protection: ambulances, service vehicles and delivery vehicles fitted with tail-lifts. 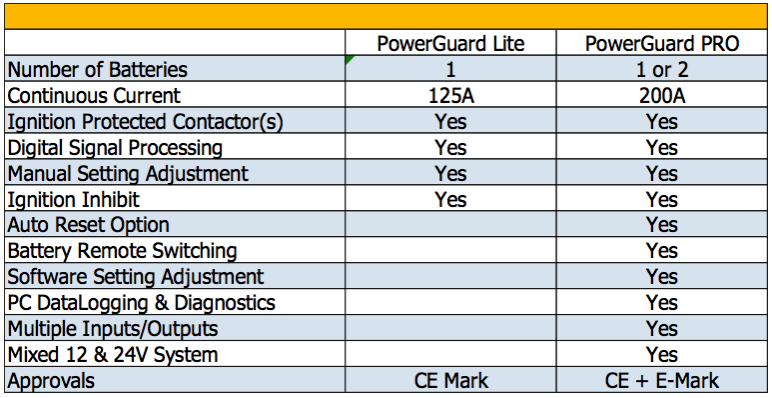 PowerGuard Lite – CE Marked but not e-mark approved for auxiliary battery banks on vehicles and engine start batteries in non-road going applications. Low cost, basic flat battery protection device. PowerGuard PRO – E-Marked & CE Marked for road-going vehicle use. Independent monitoring and battery protection for up to two completely separate battery banks. Separate sensor circuits and algorithms to protect batteries used in engine start, traction and deep cycle applications. Built in remote battery switching for two battery banks. 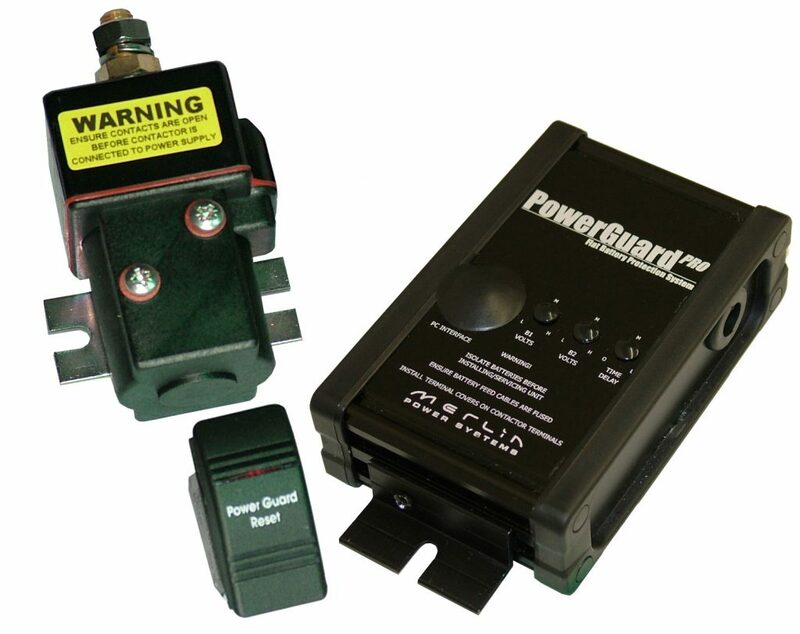 PowerGuard does the job of both a flat battery protection device but also a remotely operated battery switch.